New Delhi: India’s largest consumer goods company by sales, Hindustan Unilever Ltd (HUL) is preparing to launch its global soya-based fruit drink AdeZ in India. The firm is currently conducting market research and is likely to launch the product next year, according to two people close to the development. AdeZ, a blend of fruit juices and soya, was launched by Unilever UK Foods in 2006. “The company is likely to tweak the product to suit the tastes of Indian consumers. It could even change the name of the brand for India, but there is no final word on it yet," said one of the persons, who is not authorized to speak to the media but has been involved closely with the team working on market research for the product. The launch, earlier scheduled for 2009, is expected next year. HUL refused to comment on the AdeZ launch. “As a policy we do not comment on market speculation regarding future business plans," the firm’s spokesperson said in an email. AdeZ was launched by Unilever UK Foods in 2006, according to Unilever’s official website, then withdrawn from the British market for a variety of reasons. “The taste perception by the UK consumer was good, yet the product was probably launched at the wrong time," said Gerald Klein Essink of the Dutch-based soy market analyst firm PROSOY Research and Strategy. In an email to Mint, he said that the product was doing very well in markets such as the Netherlands, Mexico and Latin America. The organized and unorganized juice market is close to Rs4,720 crore including three categories—pure juice (with brands such as Tropicana of PepsiCo and Real of Dabur), fruit drinks (such as Frooti, Maaza and Minute Maid) and performance enhancers such as Red Bull and PepsiCo’s Gatorade. “The energy drinks category would be around Rs200 crore. As India consumers become more health-conscious and with the growth in modern retail, the category is set to grow very fast," Kumar said. HUL’s food portfolio in India comprises packaged foods such as soups and ketchups under the Knorr and Kissan brand names, ice creams under the Kwality Wall’s umbrella, beverages such as tea, coffee and wheat flour under the Lipton, Bru and Annapurna brand names, respectively. The portfolio contributes less than 18% to the company’s total turnover. In comparison, Unilever’s global food portfolio, with brands such as Becel, Flora, Bertolli, Heartband, Lipton, Slim Fast and Knorr, contributes at least 50% to the company’s total revenues. 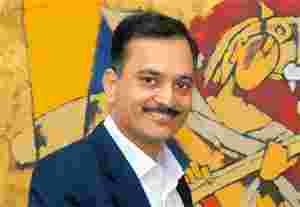 In an interview with Mint earlier, HUL’s managing director and chief executive Nitin Paranjpe had said food was going to be the company’s focus area. “You will soon see how we systematically build our foods platform. When it’s about food, it has a lot to do with the local palate, so while the technology might come from Unilever, it will be designed to suit the local palate," Paranjpe had said. The company began refocusing on the foods segment a year ago with mixed results. “HUL launched Amaze Brainfood last year but the firm hasn’t disclosed information on the brand’s performance so far," said Vanmala Nagwekar, a research analyst, with financial services firm India Infoline Ltd.
For the quarter ended June, HUL reported net sales of Rs4,476 crore and net profit of Rs543 crore. The foods portfolio grew 17.3%, while home and personal care grew 11.9%.